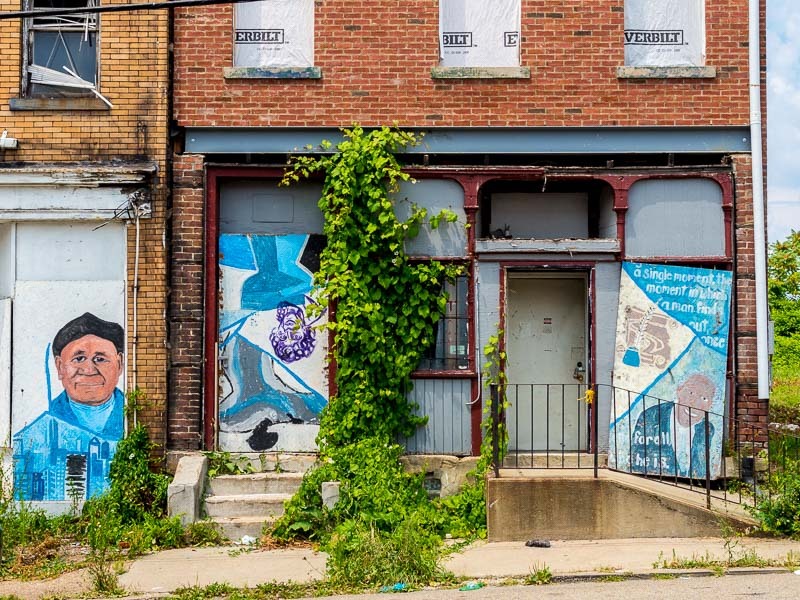 Like any big city Pittsburgh has areas that are depressed or in transition. But such areas can be the origin of great creativity. This is believed to be the birthplace of August Wilson (1945-2005). 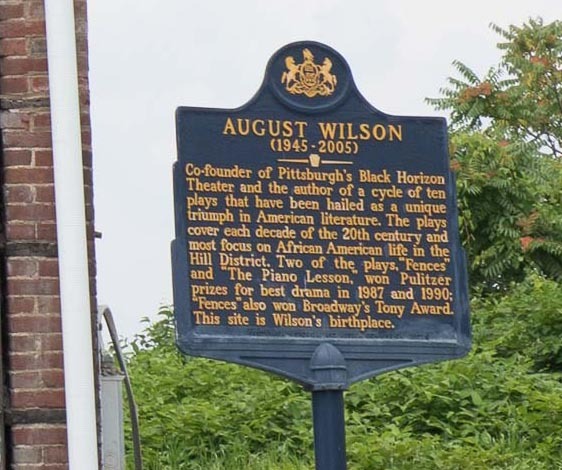 Wilson was an African American playwright, whose work won both a Pulitzer Prize and a Tony Award. Wilson’s work mostly focused on African American life in the Hill District. The site is marked by a sign next to the building. 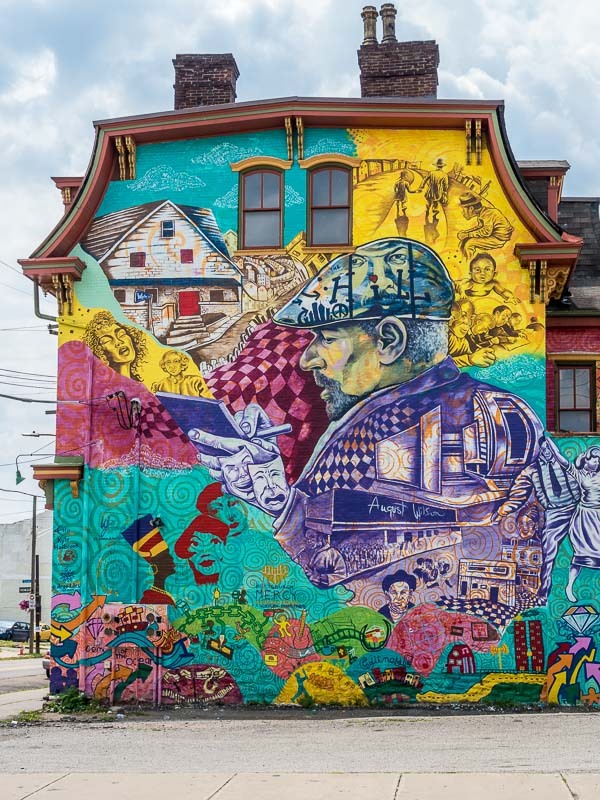 A block or so away, an amazing mural depicts what I’m guessing is Wilson’s life. ~ by Admin2 on August 30, 2015.